Here at TG, we are starting a brand new segment where we will be featuring makeup artists, fashion designers, stylists, and everything in between that has something to do with the beauty and fashion industries. We will be asking questions related to their profession, including what inspires them, where they will see themselves in the near future, and what lessons they have picked up along the journey. By doing this, we get to learn from each other as well as inspire future talent. Hope you'll enjoy this new part of The Glambassador. And if you are in the beauty or fashion industry, get in touch, we would love to hear your stories! 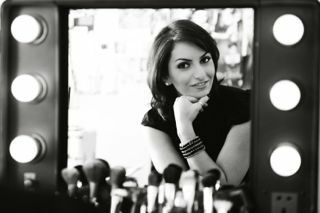 Today, we sit down with makeup artist Lina Hussain from the sunny city of Abu Dhabi. "I'm of Iraqi descent, studied and lived a huge portion of my life in Canada. 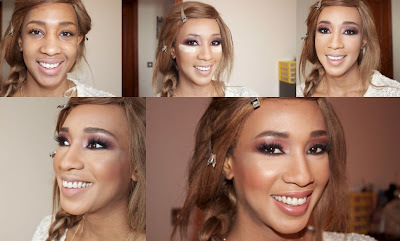 I graduated with a psychology degree and decided to become a makeup artist instead!" TG: How did you get your start in the beauty industry? "Lots of cold calling and contacting agencies and basically telling all my friends, who told their friends, and so on." TG: What is your beauty philosophy? "Simplicity and elegance! Less is always more." TG: Which star or persona do you believe always has their makeup on point? "I'm loving Myriam Fares' face at the moment, although I love to admire the Lebanese makeup in general." TG: If you could do anyone's makeup, who would it be and why? "No one famous to be honest. There is no one I love to do makeup for other than my local clients. They have beautiful facial structure and skin colors that are so fun to work with. They are glamorous, daring, and challenging, in the sense that they always want a new look. They inspire me." TG: What is your advice for those who want to follow in your footsteps? "Follow your passion, don't worry too much, and always live from your heart." TG: Do you have any up coming project or ideas that you are currently working on? "Yes but I'm keeping this one a secret :)"